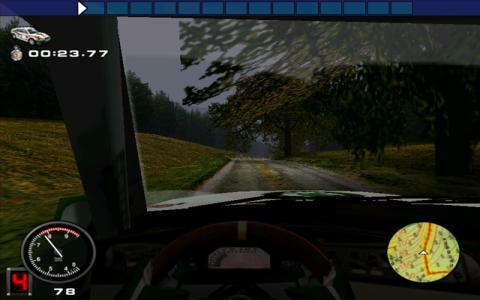 This is one of the later entries in a series that began with Network Q RAC Rally and actually turns out to be a pretty decent little driving game that provides plenty of fast paced thrills. 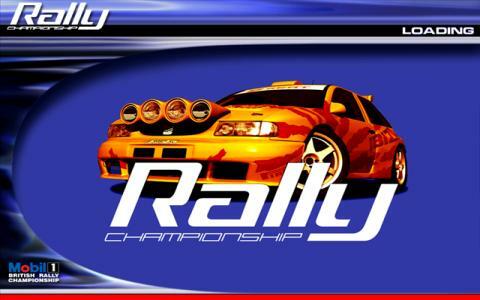 It's very detailed and realistic and offers all the track and car variety that fans demand, so if you're on the lookout for a new rally game, this could be your next best friend. There aren't many real surprises here but what is on offer is well done, with a wealth of options to choose from. 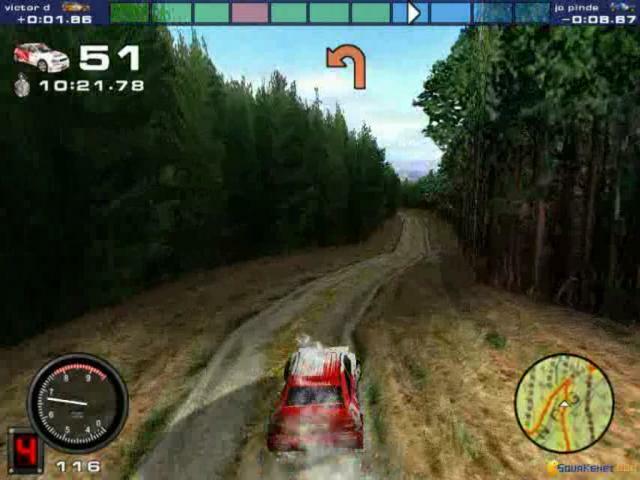 There are over thirty tracks to speed around, all of which have been mapped from the real British tracks so this is going to feel as close to the real thing as you can get with late nineties technology. 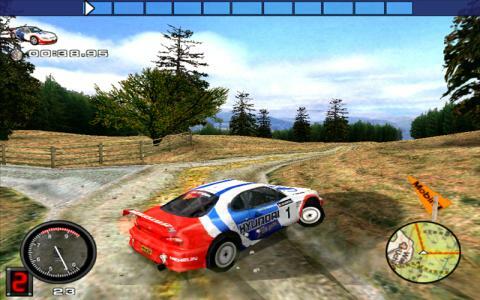 You also have more than twenty cars to try out, which have again been modeled on the vehicles that would have been around at the time. There's the usual array of options and race types to play about with but that's about it really. As far as rally games go, this is just about as good as it gets, with only a couple of minor issues in the way of near perfection. 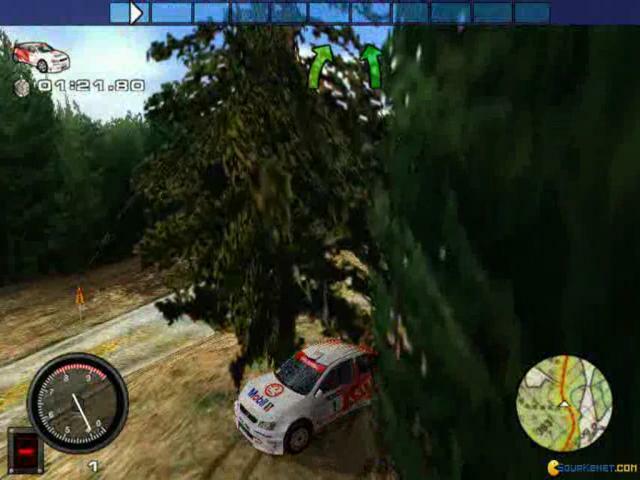 The range of tracks is extensive and varied, with some real challenges to be found here, and which are exciting and fun to race on. The visuals are pretty much spot on, with the right sense of speed and detail in the track backgrounds, while the audio is simple enough but certainly effective. 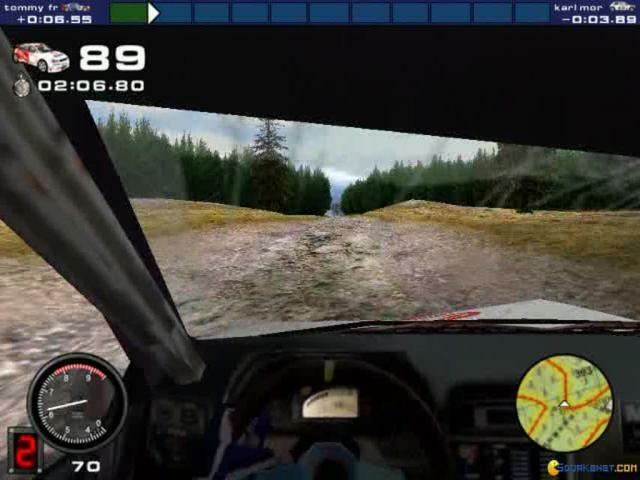 The controls have the right learning curve to them, so it takes a while to get used to things, but when you do you'll be carving up the courses like a pro. 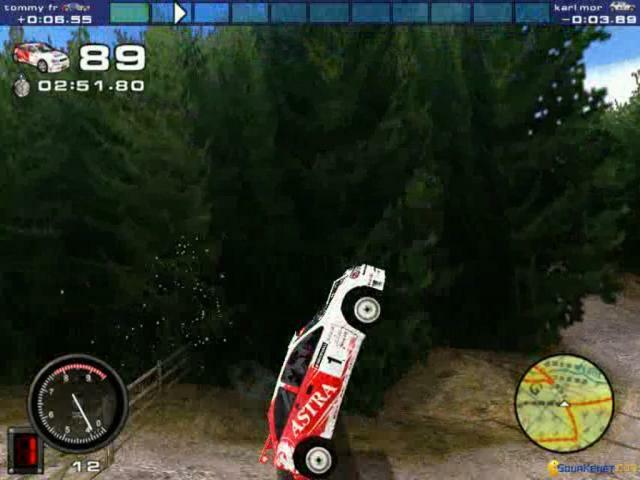 The physics aren't quite perfect but apart from this, this is a fine rally sim that stands as a more detailed counterpart to Screamer Rally. 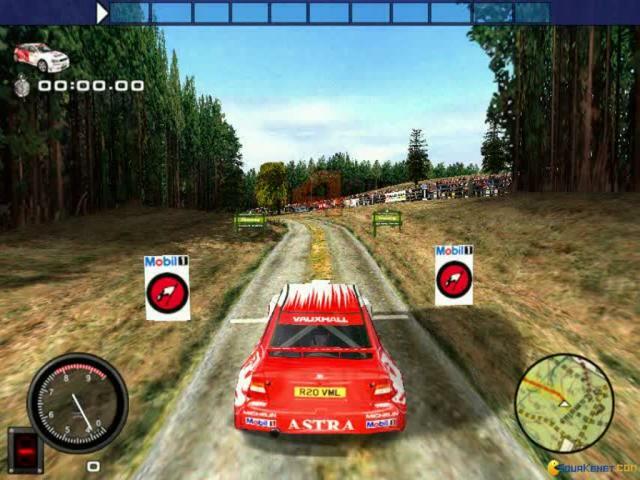 Lately, I have been searching for some old-school rally games, other than the Colin McRae Rally games. 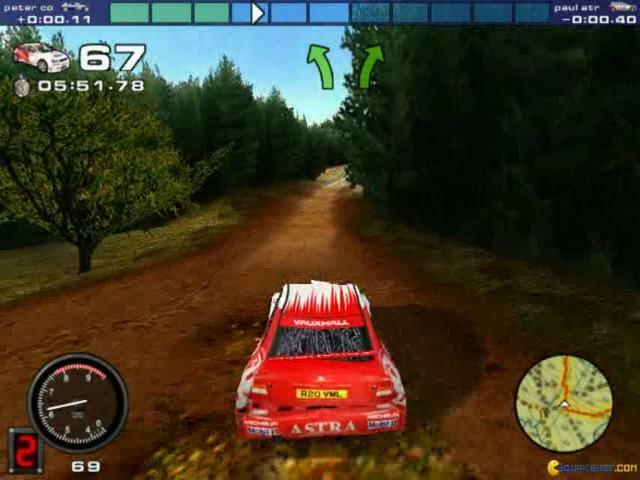 I have found 2 games: Sega Rally, which was a disappointment for me and Rally Championship 2000 which made me forget about the other one. 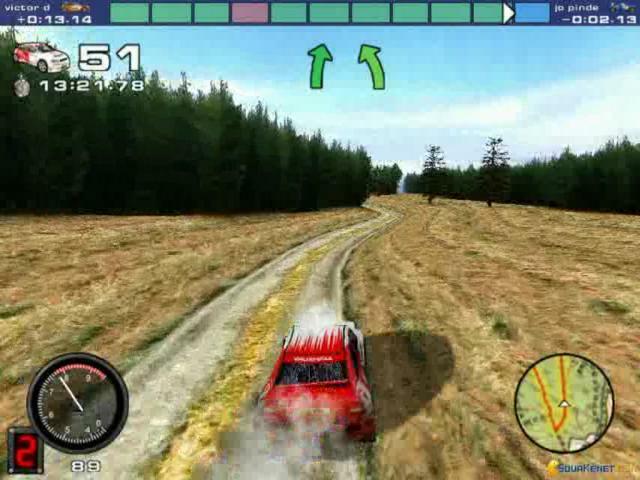 This game really makes you feel like being part of a rally. 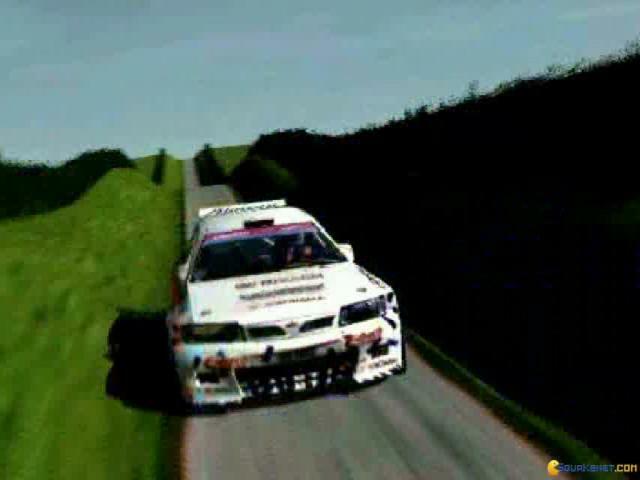 There's a good variety of tracks and cars and some of the annoyances in Sega Rally have been improved here. First of all, the co-pilot is now offering USEFUL information, like an oncoming corner after a junction or that there's chicane ahead. 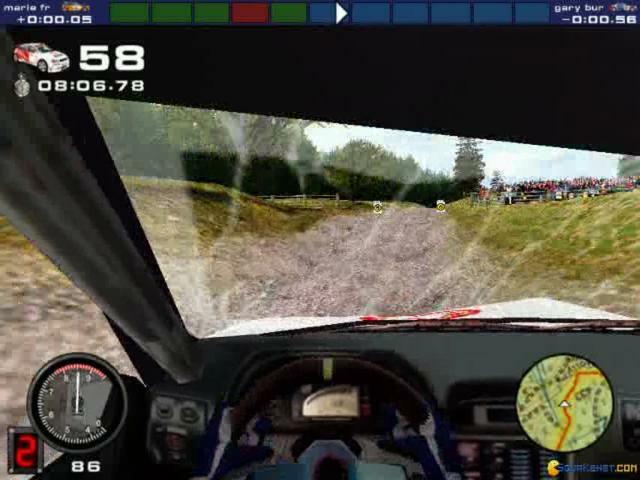 However, there's a minimap included in game, which is helpful, but it makes the co-pilot seem useless, but on some parts of the track, you mostly need to focus on the road, so the minimap and co-pilot are both useful, but at the same time in my opinion. 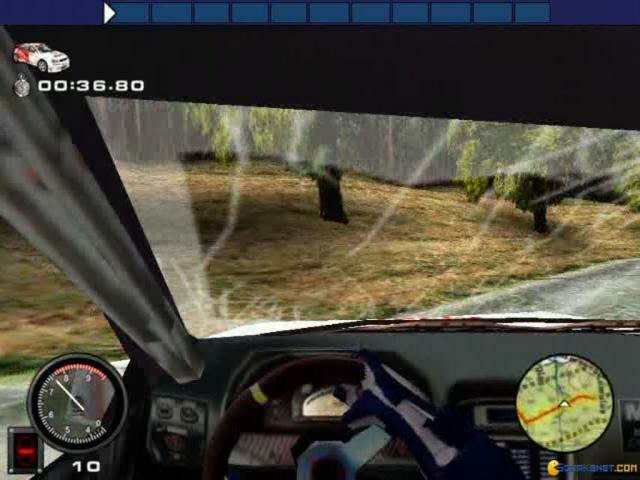 The controls are improved as well, making the game more realistic : you can drift away from the course and sometimes if you're not careful you can flip over your car. 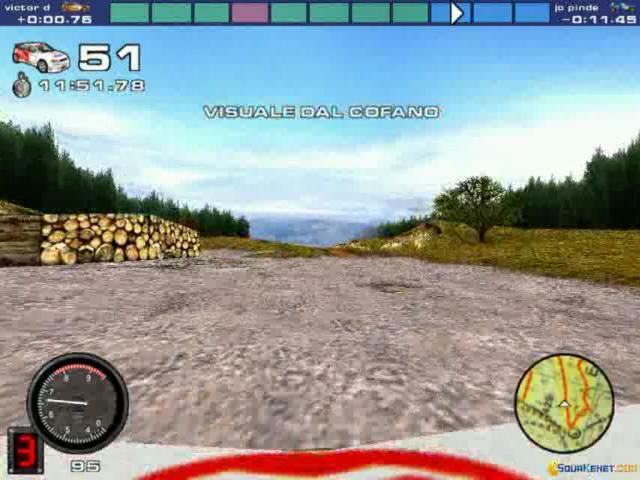 The graphics are good and the sounds of the engines are superb.